In 2008 a woman woke one morning to find a hinny in her yard. 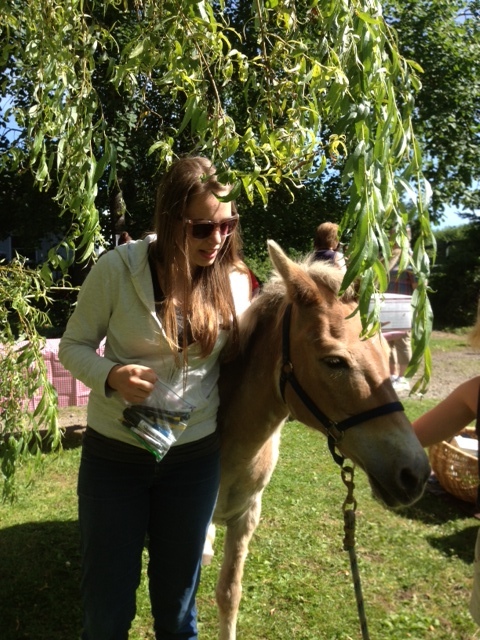 As well as calling Animal Control, she contacted Equine Aid. 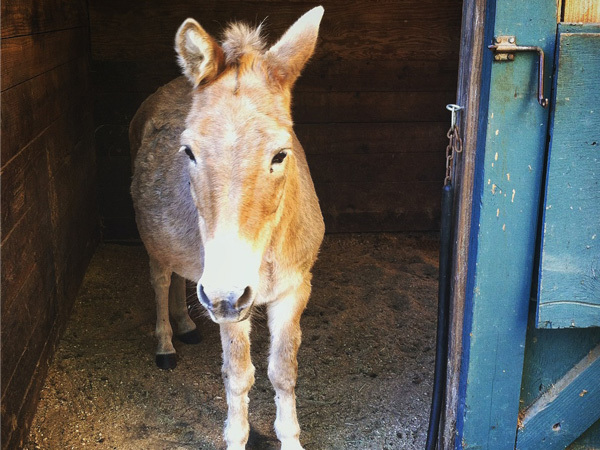 She thought the funny little, peach-colored animal was a mule – a natural assumption. 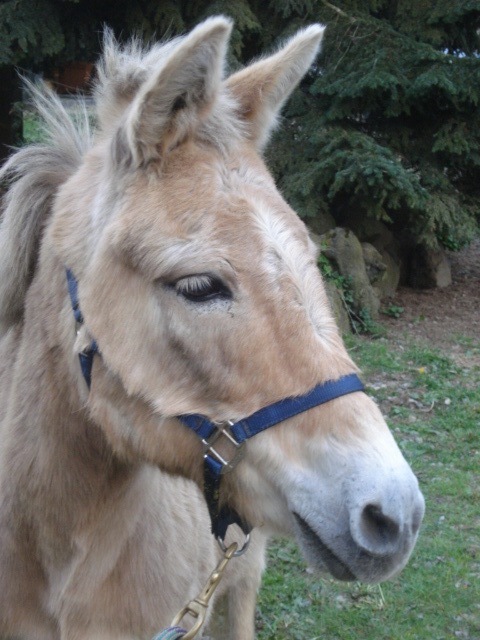 Ruben is the opposite breeding from a mule. His dam was a donkey and his sire was a horse. 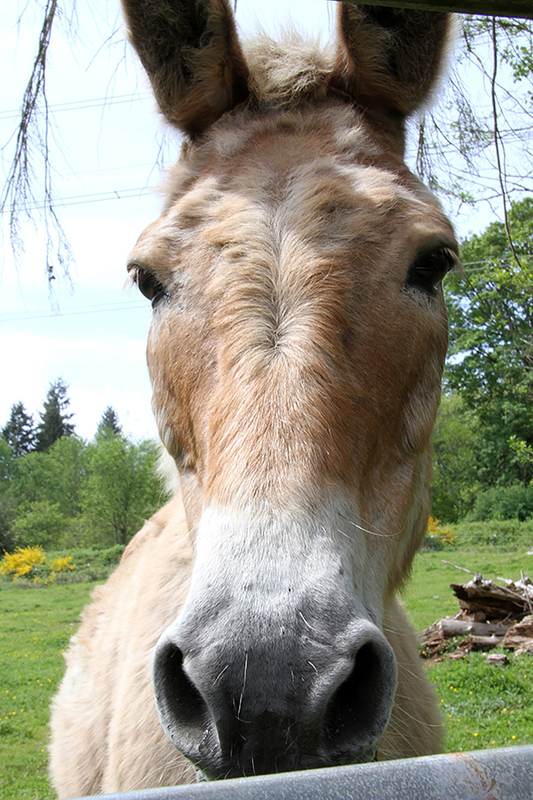 The result is an animal who has shorter ears, a horse-like tail and a different voice than a mule. Unfortunately Animal Control insisted on taking him to an auction barn even though we offered to care for him at no charge. After two weeks there, with no one claiming him, he was run through the auction. Thanks to an AC officer dear to our hearts and kind donors, he was bought at the sale and came to live here. Since he is now almost forty years old and his teeth no longer have a good grinding surface, he lives on a mush diet of Timothy pellets, a little senior feed and supplements. He enjoys fresh grass every spring. Ruben has proven to have a clear opinion on most everything. At first he was resistant to hoof trims and worming and dramatically refused to have anyone lean across his back. He doesn’t need to work so we are just happy that he has accepted hoof trims and worming. I love that when he sheds out in the spring he changes from a peach color to a soft pink. We expect Ruben to live out his days with us. We are fortunate to share our lives with a little, pink hinny.